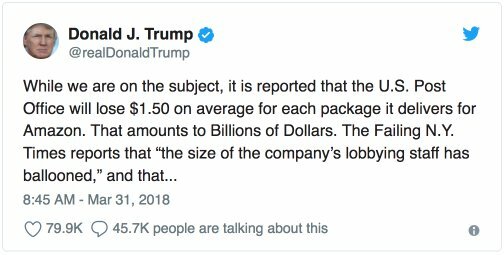 Donald Trump has declared war on the free market, taking to Twitter again to bash Amazon for doing what he infamously and righteously did for decades: avoid paying extortion. 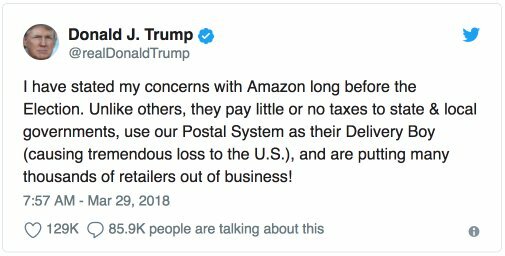 It seems Darth Hater is hellbent on forcing the wildly-successful e-retailer to fork up their profits because they used the notoriously inefficient and bankrupt Post Office to deliver goods to their millions of customers. 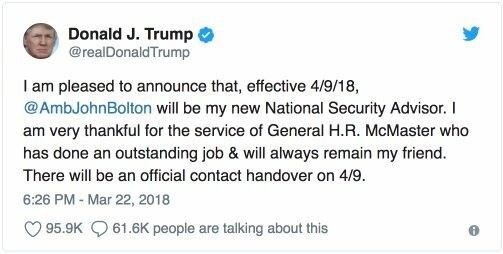 Before Trump was (s)elected, I said that he would win the (s)election after it came out that both he and Killary were invited to an exclusive Jesuit function with Henry Kissinger following one of their fake debates. Then, when he was publicly (s)elected as President, I warned he would be no different than Barack Drone Bomber or Killary Clinton. 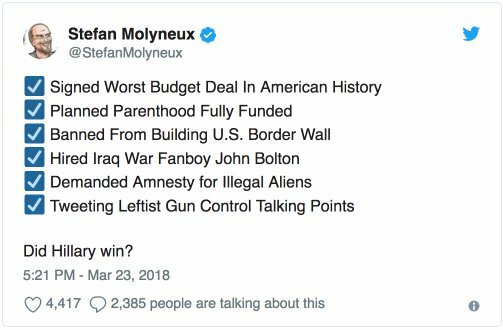 Trump did fool quite a few people though, including Stefan Molyneux, who was formerly known as a principled anarchist, but fell into the phony left/right narrative and became a statist-sympathizing Trumpite. Many Trump supporters claimed, based on The Donald’s own words and tweets, that he was pro-gun, anti-war, anti-big government and would reduce the US deficit. Reality has been quite the opposite, though, as we said it would be. What some people still don’t realize is that politics is nothing but a big show to keep the tax slaves so busy fighting each other, that they never realize the problem is government and politics itself. 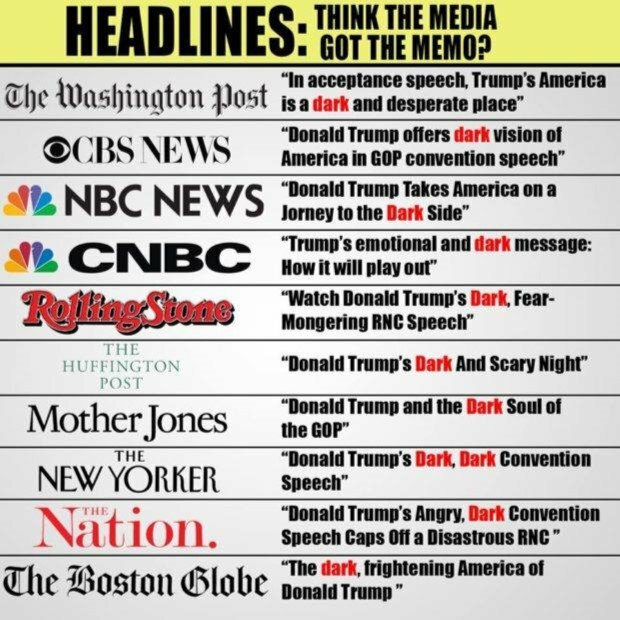 The mainstream media, which is just the propaganda arm of the government, puts out nothing but fake news and unimportant information to keep people confused, afraid, misinformed, and entertained. The real news is that US taxpayers are victims of the world's largest extortion racket, with most of their hard-earned income stolen each year via hundreds of different taxes. 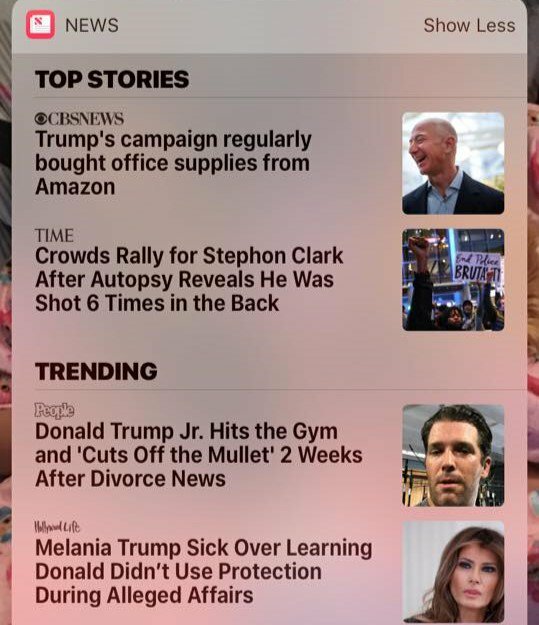 But, that’ll never be the headline “news” on CNN. Instead, they want to keep everyone, even thinkers like Molyneux, clinging to delusions, hoping they can vote for someone to change the system, instead of saying the system shouldn’t be there at all. The media is meant to keep people in a constant state of fear and it is all scripted. Instead of saving the failing theft-funded Post Office, Donnie Darko should just abolish it. But until enough people wake up to what is going on, they’ll keep playing the same stupid games (politics and elections), and keep winning the same stupid prizes (slavery and oppression). Their game is rigged against you, but you can still win economically because knowledge is power. To stay informed, subscribe to The Dollar Vigilante newsletter HERE. And, get ready for Anarchapulco 2019 (tickets on sale soon) where we are already creating a new world that will empower individuals and make governments and central banks obsolete. Or you can keep hoping parasitic politicians will save you, and see how that works out. © 2018 Copyright Jeff Berwick - All Rights Reserved Disclaimer: The above is a matter of opinion provided for general information purposes only and is not intended as investment advice. Information and analysis above are derived from sources and utilising methods believed to be reliable, but we cannot accept responsibility for any losses you may incur as a result of this analysis. Individuals should consult with their personal financial advisors.